Foxconn Interconnect Technology (FIT) Limited has signed a deal worth US$866 million to acquire California-headquartered Belkin International, as part of its bid to create a “global consumer electronics leader”. The companies revealed on 26 March (US time) that the all-cash deal would see Foxconn, which is well-known as Apple’s go-to manufacturer for its iPhone products, further tap into the premium accessories and smart home market by leveraging Belkin’s capabilities, along with its consumer products channel. It is understood that the deal will see the US consumer electronics maker and its family of brands, including Belkin, Linksys, Wemo and Phyn, operate as a subsidiary of Foxconn under the continued leadership of the US tech company’s CEO and founder, Chet Pipkin and his executive team. 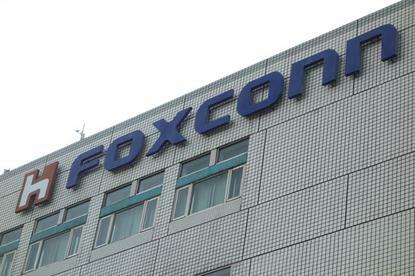 Additionally, Pipkin is expected to join Foxconn’s management team. The companies suggested that the agreement could also support the growth of Belkin’s portfolio of brands and products while supporting additional investment in research, development and engineering, ultimately helping to expand the companies’ presence in the US and other key markets globally. Given that Belkin International and its raft of brands are big producers of Apple device accessories and that Foxconn is a major producer of Apple devices, the move is likely to see the Taiwan-headquartered company gain a stronger hold on that corner of the market. “This move will accelerate our vision of delivering technology that makes the lives of people around the world better, more convenient and more fulfilling,” Pipkin said. “I am thrilled to take our brand portfolio of Belkin, Linksys, Wemo and Phyn to new heights. “We see significant synergies with FIT, including leveraging its world-class manufacturing capability to enhance Belkin’s operating efficiency and competitiveness. “The transaction also grants us access to more resources to invest in our people and to aggressively pursue opportunities in the marketplace,” he said.